Showing results by narrator "Daniela Farinacci"
Leaving the small village of Fossa in Italy in 1939 to meet a father he barely remembered in a place that was far from everything he knew, 15-year-old Annibale Boccabella arrived in Australia determined to make a go of it. It was a time when everything was changing, and anything seemed possible. Life was tough, but you could still chase your dreams. 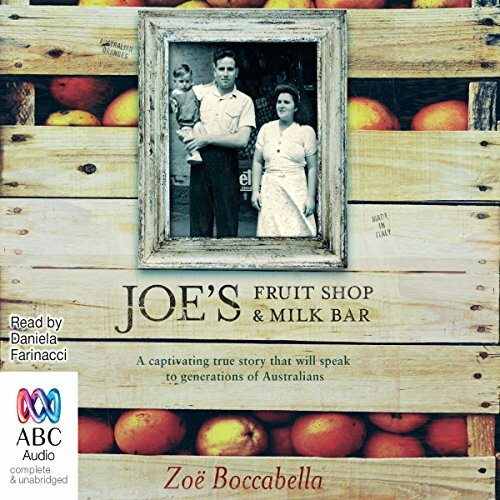 More than 70 years later, in 2011, Zoe Boccabella and her family hurriedly try to save the treasured belongings of Annibale and his wife, Francesca.